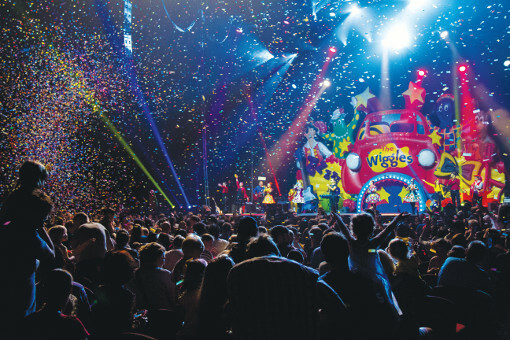 Offspring Magazine and The Wiggles are giving your family the ultimate BIG day out! 21st November Perth Arena 5pm. Your chance to win 1 of 5 Hot Potato family passes (premium) to the show! For your chance to win, simply LIKE The Wiggles competition post on Offspring Magazine’s Facebook page and sign up for our e-newsletter as per the prompts at the top or right hand side of this page. The Wiggles BIG SHOW + CinderEmma! Tour is bigger, bolder and happier than ever! Offspring has the inside scoop and we can reveal that this all new, all singing, all dancing, sensational stage show will include some very exciting new additions. Blue Wiggle Anthony explains, “This year we have two really special performances planned for every concert – it’s two shows in one! Part one will be a high energy mix of all The Wiggles songs that everyone loves to sing and dance along to, with all of our Wiggly friends Dorothy the Dinosaur, Wags the Dog, Henry the Octopus and Captain Feathersword. “And then after an intermission we reveal part two – an all-new set and a brand new show, the CinderEmma! Fairytale.”In addition to this vibrant, unique show, local children from each city will be included in the show as dancers. Yellow Wiggle Emma is delighted, “We are so excited to not only be performing for children all over Australia, but now we’ll have the chance to dance on stage with them too! 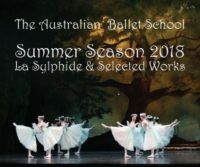 I’m looking forward to rehearsing with them, and no doubt learn a few new moves from these talented children”. Dancing will indeed be one of the many highlights of the BIG SHOW! spectacular, with styles from Irish dancing, contemporary, jazz and ballet. Combined with bold, bright new costuming, this show is really set to dazzle. T&C: Tickets are non-transferrable, non-refundable and cannot be exchanged or redeemed for cash. 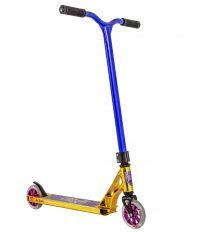 VIBES Scooter Competition: Your Chance to WIN! Your Chance to WIN a GLOBBER Scooter! 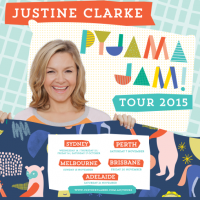 Justine Clarke is set to perform this October and November with her brand new Pyjama Jam! tour. 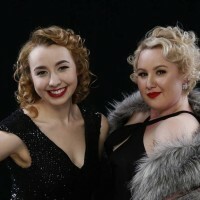 WA’s flagship theatre company Black Swan State Theatre Company presents The Red Balloon.